Pre-operative autologous donation - Patient donates his/her own blood prior to surgery. The pre-operative autologous donation is the most common of the three procedures. Intra-operative salvage - A way of saving blood lost during surgery so it can be returned to the patient. Utilizes a machine called a cell saver. Postoperative cell salvage - Done usually after the patient leaves the operating room. During some surgical procedures, there can be an accumulation of blood in the body, which can be collected and returned to the patient via transfusion. What Is an Autologous Blood Transfusion? The blood which a patient donates prior to their scheduled elective surgery is stored and saved for their use. When the blood is given back to the patient, it is called an autologous blood transfusion. Who Decides If You Should Be an Autologous Blood Donor? If there is a possibility that you will need a blood transfusion during your surgery, your surgeon may recommend an autologous blood donation. The type of surgery determines the need for autologous donation and the health of the patient determines their ability to donate. You will need an appointment at the local blood bank if you will be scheduling an autologous blood donation. Being turned down before does not necessarily preclude you from donating an autologous unit. You will be screened once you arrive at your blood bank appointment. A brief medical history is taken from you, as well as your pulse, blood pressure, temperature, and a fingerstick blood sample to determine your hematocrit (checking to see if you are anemic). Your medications are discussed, so be sure you arrive at your appointment with a list of your medications. (I was told at my appointment that having rheumatoid arthritis (RA) does not preclude a person from being a general blood donor. However, an RA patient must be off of ​methotrexate for 30 days before they can donate for the general population.) The requirement about methotrexate is waived since your own blood will be given back to you with autologous blood donation. 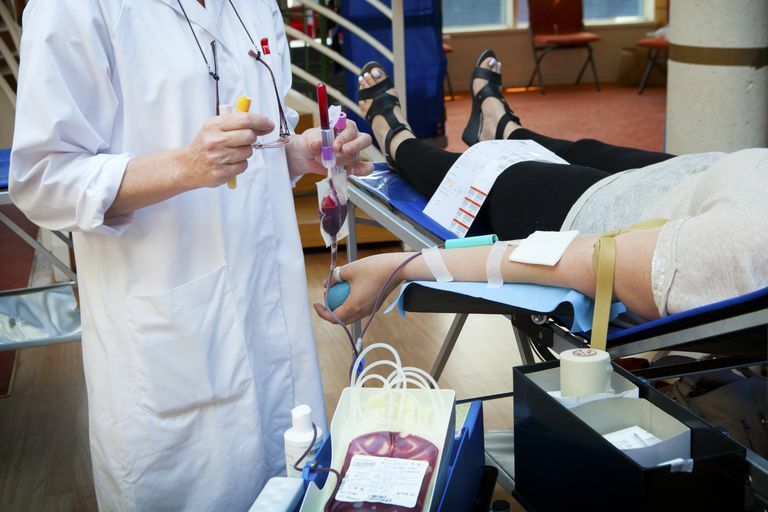 Why Should You Go Through the Hassle of Donating Autologous Units? Yes, there are fees associated with autologous blood donation. Check with your blood bank on processing and administrative fees and check with your insurance to see if they cover autologous blood donation.